'Shivery and shovelry are back. We're calling for some frigid conditions, bitter conditions,' says managing editor Sandi Duncan. LEWISTON — The folks at the Farmers’ Almanac can be forgiven for feeling smug: The 198-year-old publication correctly predicted the past nasty winter while federal forecasters blew it. Memories of the polar vortex and relentless snowstorms won’t soon be forgotten. And the editors of the publication are predicting more of the same for the coming season. “Shivery and shovelry are back. We’re calling for some frigid conditions, bitter conditions,” said managing editor Sandi Duncan. Modern science doesn’t put much stock in the formula. “Not one of our better forecasts,” Mike Halpert, the Climate Prediction Center’s acting director, said at the time. There’s still no good explanation as to why the polar vortex moved so deep into the U.S., he said. The almanac’s editor, Peter Geiger, can also gloat over his Super Bowl forecast. 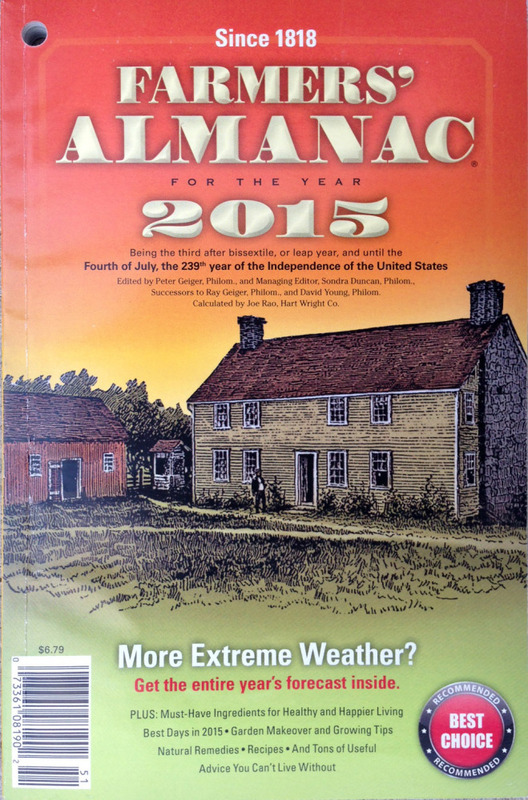 The almanac forecast a snowstorm Feb. 1-3 in New Jersey. It was 49 degrees at the start of the Super Bowl on Feb. 2, but a snowstorm created havoc the following morning. The almanac wasn’t spot on everywhere: The Pacific Northwest was wetter than expected, and California and the Southwest were drier than projected. The almanac also contains gardening tips, trivia, jokes and natural remedies, like catnip as a pain reliever or elderberry syrup as an immune booster, in this year’s edition. But it’s the weather prognostications that tend to grab headlines. The editors encourage readers to be prepared – and to make the best of it. “When it snows you have two choices: Shovel or make snow angels,” Duncan quipped.